Boulder is one of those places that people tend to either love or hate. If you hate it, chances are you don’t live here. If you love it, you probably can’t bring yourself to leave. No doubt Boulderites are a special breed—a blend of hippie, healthy, hard-core outdoorsy, über fit, and environmentally and socially friendly. The demographic has shifted slightly over the years, broadening from crunchy granola-munchers to include all sorts of outdoor fitness freaks, but the heart of Boulder still pulses with a progressive, liberal beat. And even the critics are hard-pressed to dispute the fact that Boulder earns plenty of accolades. Healthiest city, fittest, friendliest, most active, best place for entrepreneurs, best city for outdoor recreation enthusiasts, top college town, best farmers market—rattle off the whole list and people might roll their eyes. Our personal favorite: the worst dressed city that looks best naked, as GQ proclaimed a few years back. We’ll take it. There’s no question that Boulderites tend to favor outdoor function over fashion. Here are 12 other quirks that will clue you in that someone lives in Boulder. Depending on which camp you fall in, you might squirm or snicker. And if it’s the latter, have at it. The best thing about Boulderites? We’re way too busy getting after it to worry too much about the naysayers. 1. Water bottles breed in your cabinets like rabbits. Maybe you work in the bike or outdoor industry. Or know someone who does. Or you do triathlons or bike races that come with bags of swag. You end up with water bottles—lots of them. They spill off the shelves. Logos call out from your closet. And even though you might have 100 bottles, you still gravitate to your favorites—maybe because they’re insulated, flow well on rides, are easy to carry on hikes, or tug a special string in your heart. Just be warned: If you ever try to move or find room in your closet for something new, you might find yourself saying, “WTF?! Where did all these water bottles come from?” Efforts to give them away or sell them at yard sales don’t seem to keep the breeding at bay. 2. You don’t think twice about sipping an afternoon margarita in spandex. Traipsing around town in athletic gear is de rigueur in Bouldère. Spandex? No problem. Yoga clothes? Well, that’s practically fashion wear. A trip through Boulder at happy hour could be an exercise (pun intended) in figuring out who rolled straight from the trail to the bar. 3. If someone says quiver, you don’t think of arrows. In Boulder, garages are for gear, not for cars. The difference between epic and “An Epic” might be lost on those who shirk alpine starts and outdoor adventures. If something was epic, this means it was awesome—no-holds-barred fun. “An Epic” refers to when something goes wrong—either you get lost, or finding your way home takes way too long. Both outcomes make for great stories. “An Epic” just might be a little uncomfortable (or downright terrifying) along the way. Whatever the case, Boulderites know the difference (and use the terms accordingly). 5. You bring a rain jacket to Red Rocks even when the forecast calls for sunny skies. 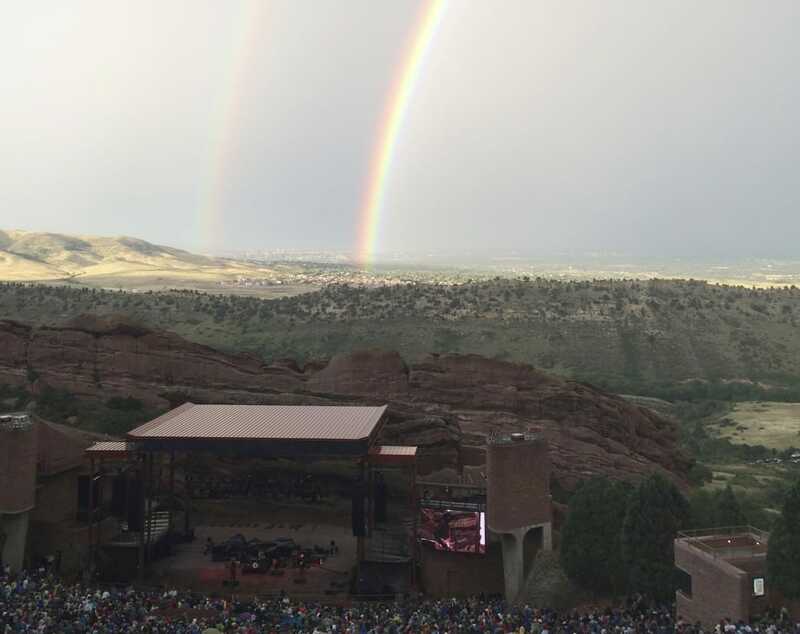 Double (or even triple) rainbow moments are common at Red Rocks. If you live in Boulder, chances are you venture to concerts at Red Rocks at least a few times a year. And you know that the venue is a magnet for rain—and subsequently rainbows. A double or triple rainbow isn’t uncommon, but neither is a drenching storm when the forecast says all clear. So you pack rain gear no matter what. Bonus points if you’re pro enough to bring a garbage bag to protect your backpack from the inevitable downpour or spilled beer. 6. Your car doesn’t fit in your garage because you have so much outdoor gear. Boulder garages are not meant for cars; they’re for gear. Winter doesn’t ratchet down hard for long, and Boulderites can deal with scraping a few frosty windshields. 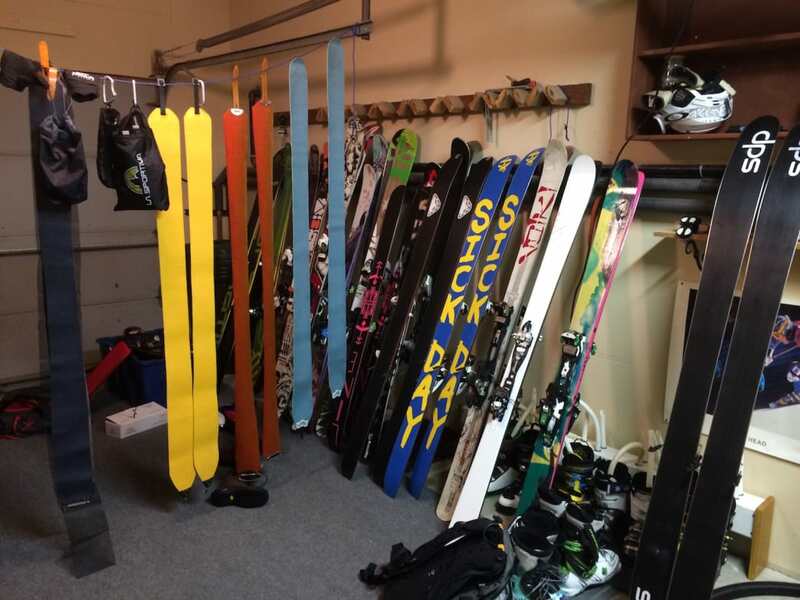 Most important is having space to store and organize skis, backpacks, tents, bikes, sleeping bags, paddleboards, kayaks, and more. 7. The collective value of all of your bikes is more than your car. 8. You drive a Subaru. Or at least you used to. 9. You will do anything for fresh tracks. 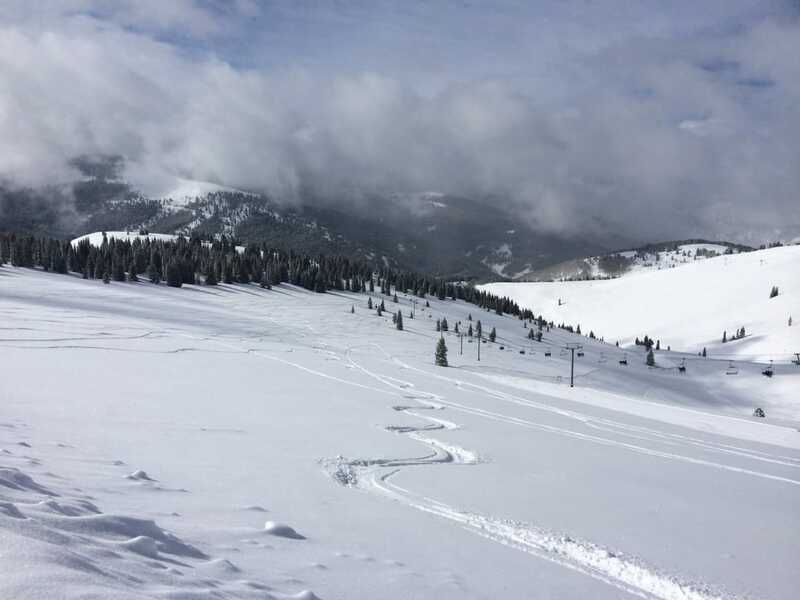 Fresh tracks supplant the need for sleep and can make work deadlines magically disappear. Call in sick. Drag yourself out of bed for pre-work turns at Eldora. Sleep in your car. Get in line at Vail an hour early to nab first chair. Heck, befriending a lifty with spare floor space isn’t out of the question. It doesn’t matter how: When it dumps, you’ll do whatever it takes to carve fresh, buttery tracks in new snow. 10. Icy and snow-packed roads don’t deter you, they excite you. When the weather forecast warns of icy and snow-packed roads, you head for the hills. Literally. A winter storm warning is music to your ears. Icy roads mean there will be snow under your skis or snowboard. The sketchier the driving, the better the turns will be. You’ve got your Subaru. Time to get after it. 11. You can wake up before dawn, bag a peak, and then boogie at a concert until the wee hours. Boulderites charge hard. We play hard in the mountains, and we play hard at night. Let’s just say we’re not afraid of either side of sunrise—whether we’re just getting up or have been up all night. People from Boulder have no problem setting the alarm for 3 am in order to bag a 14er, and then rock out at the Boulder Theater until 2 am. 12. You feed the Boulder stereotype and you don’t care. 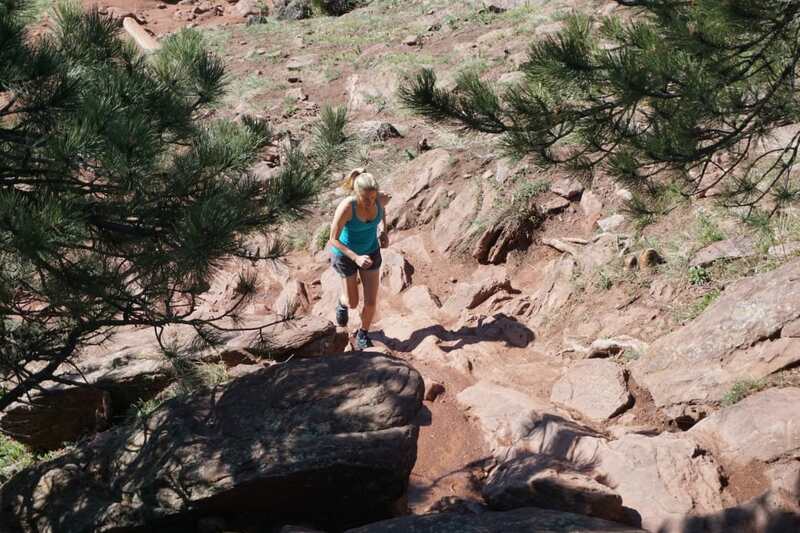 Boulderites are an easy breed to spot on the trails. Boulder earns its reputation as the “People’s Republic.” Yogis prance around town with kombucha in hand. Über athletes think nothing of 100-mile trail-running or mountain-bike races. Our low body fat skews the whole bell curve. We fill our reusable bags with organic, free-range, non-GMO food from Whole Foods. We tax ourselves to protect open space. (And all you people driving to use our trails don’t seem to mind.) We have curbside composting. Our former mayor was pulled over with a warm bowl in his car (and we’re not talking soup). And yes, real estate prices are sky high. But that’s because so many people want to live here. Take it or leave it: We Boulderites don’t care.